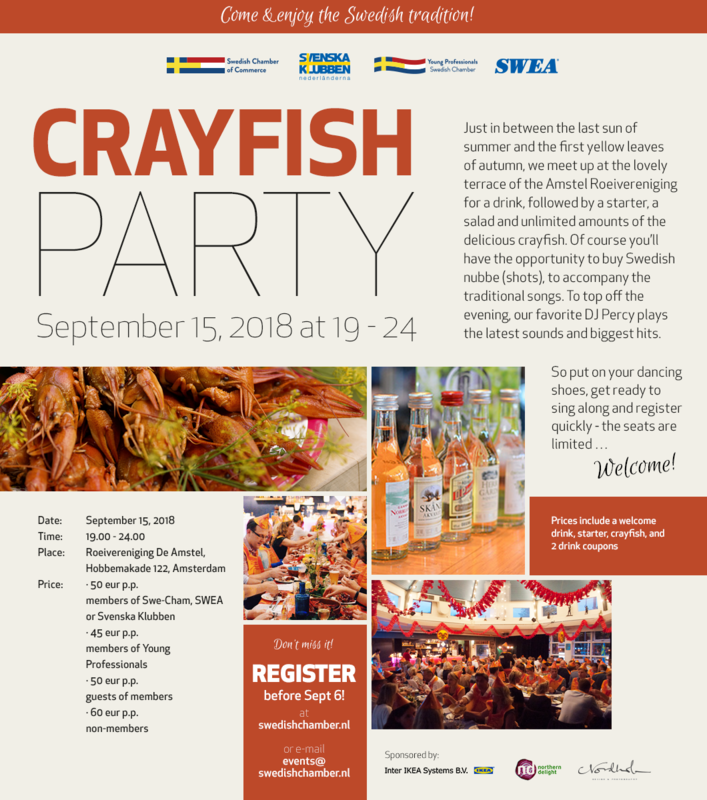 Home > Events > Uncategorized > September 15, Crayfish Party! 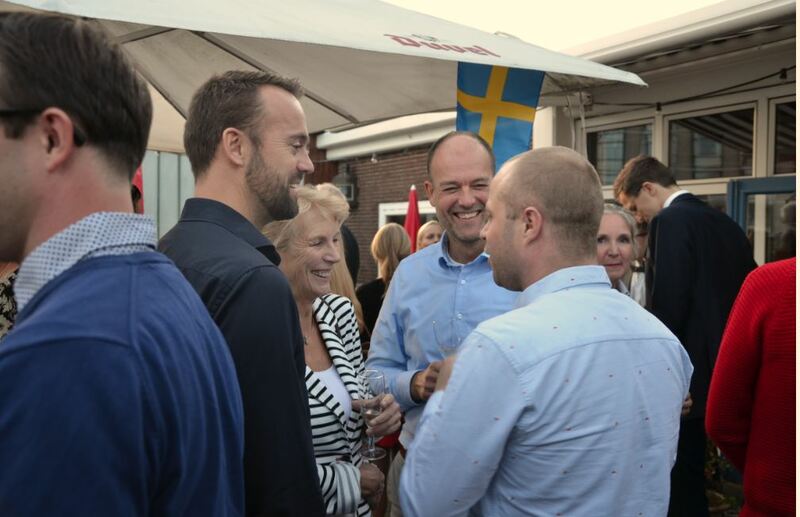 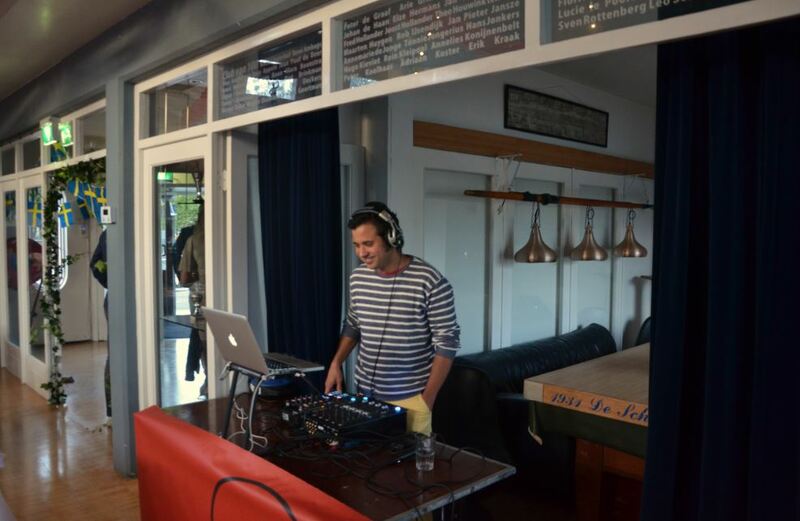 Thank you to everyone who attended the annual Swedish Crayfish Party in Amsterdam! 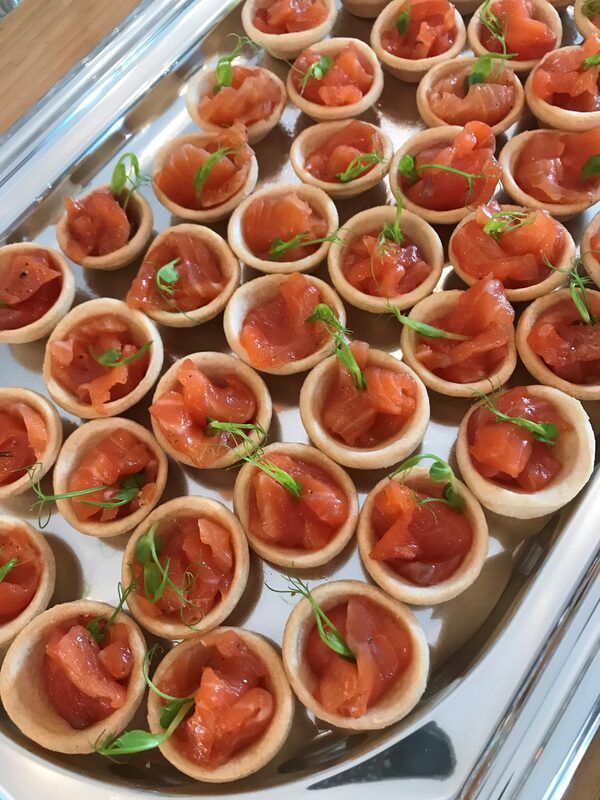 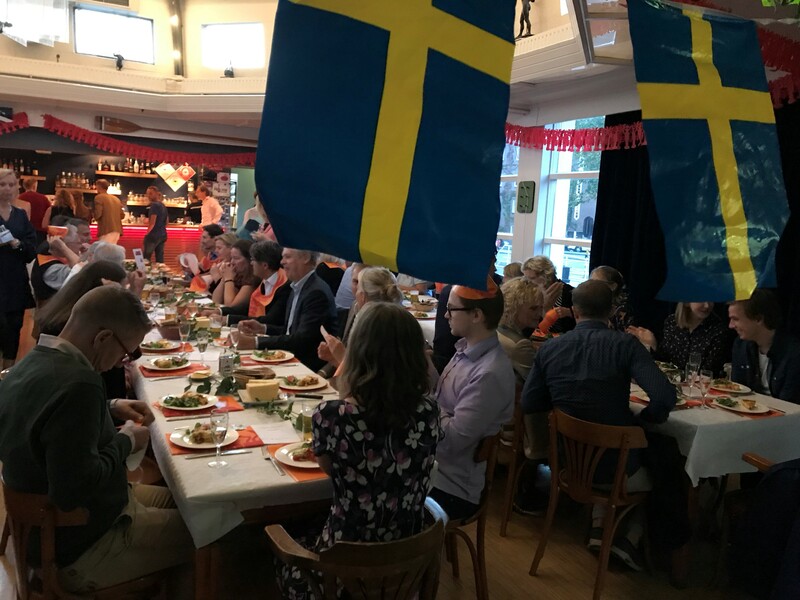 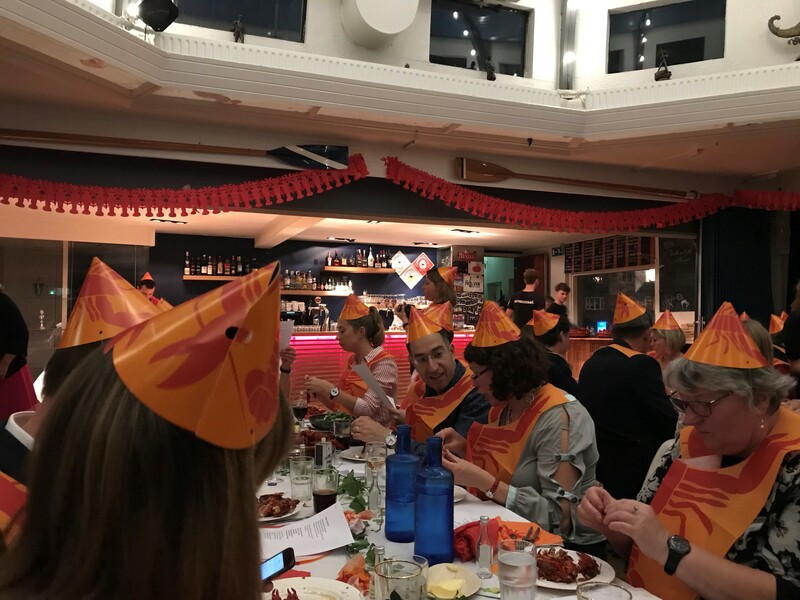 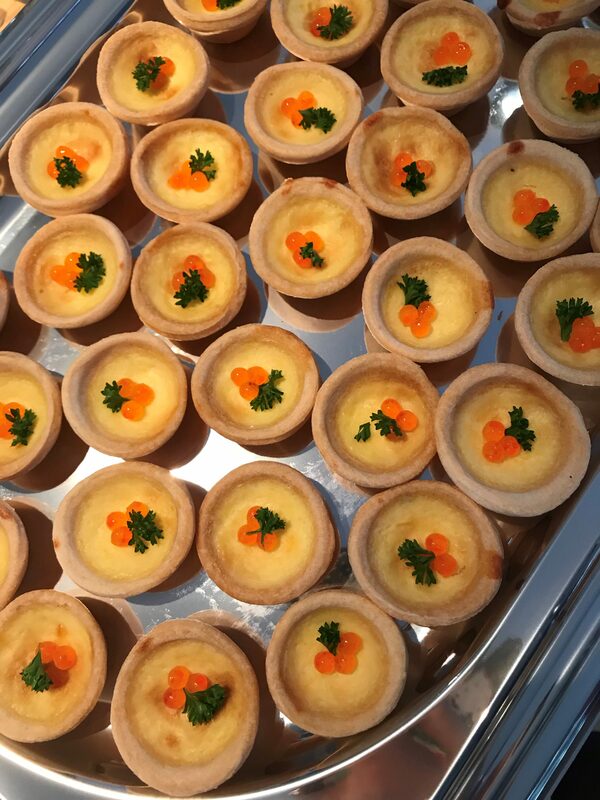 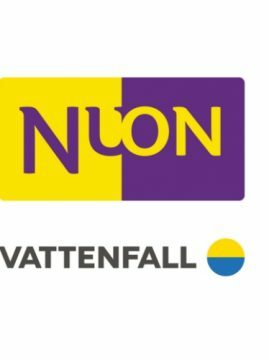 We kicked off the autumn season with our festive Annual Crayfish Party on September 15, together with the Young Professionals, Svenska Klubben and SWEA for an evening of traditional Swedish festivities. 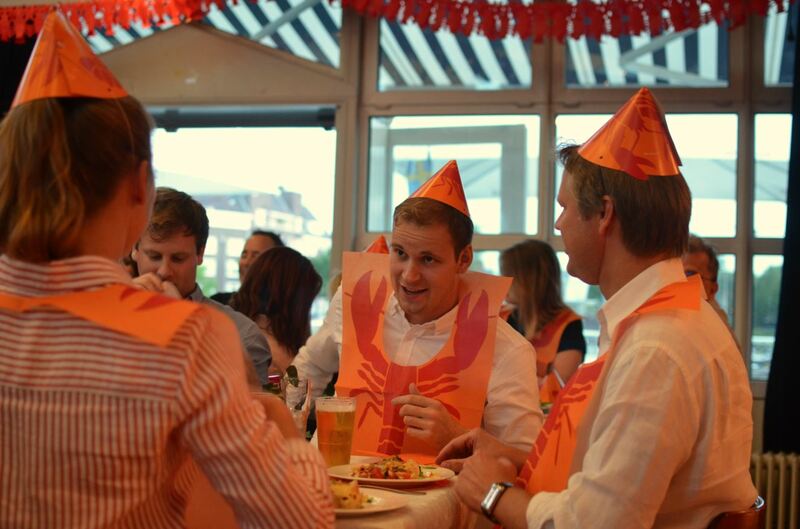 The crayfish season is one of the most popular cultural celebrations in Sweden. 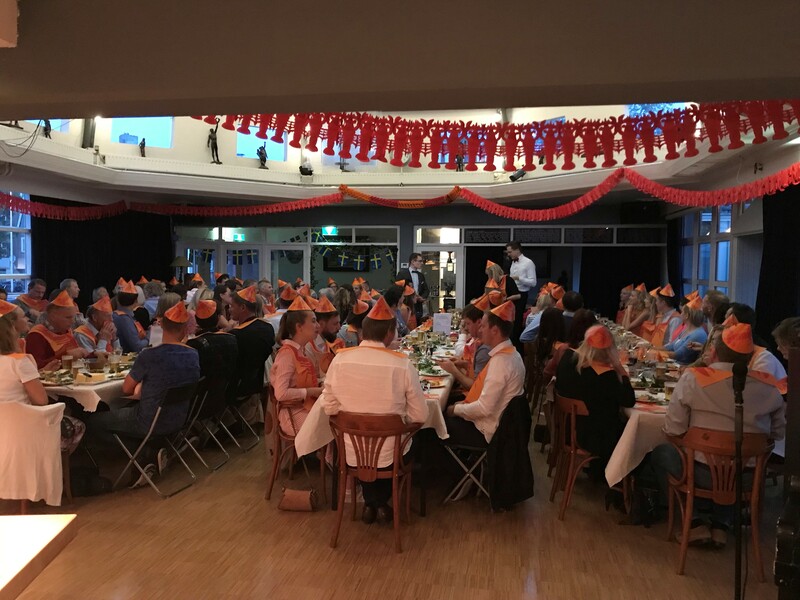 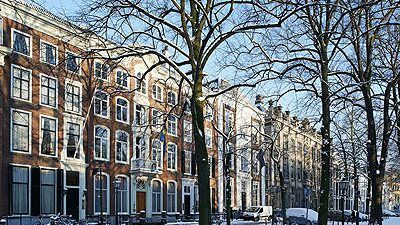 On September 15, we welcomed everyone to Roei- en Zeilvereniging De Amstel in Amsterdam to celebrate the end of summer with us. 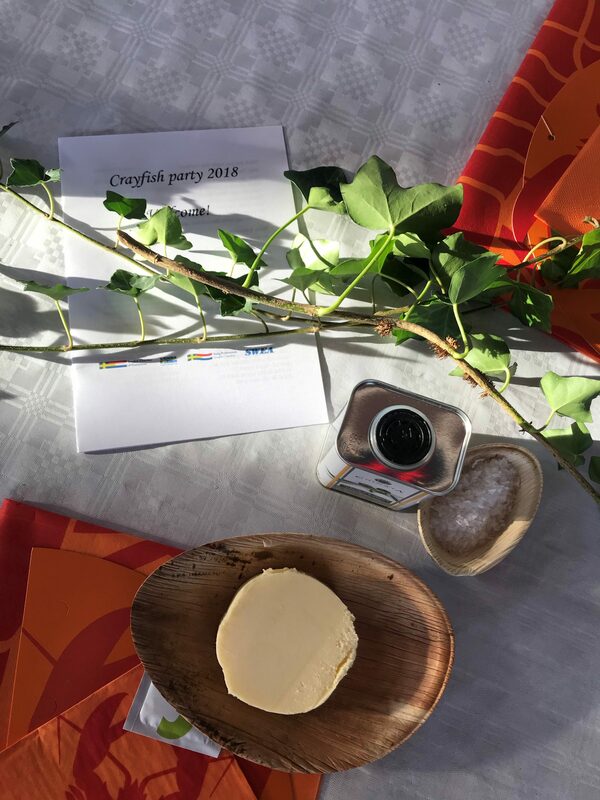 The evening was gracefully lead by Ceremony Master, Aron Vrieler and Toastmaster, Gillis Danielsen. 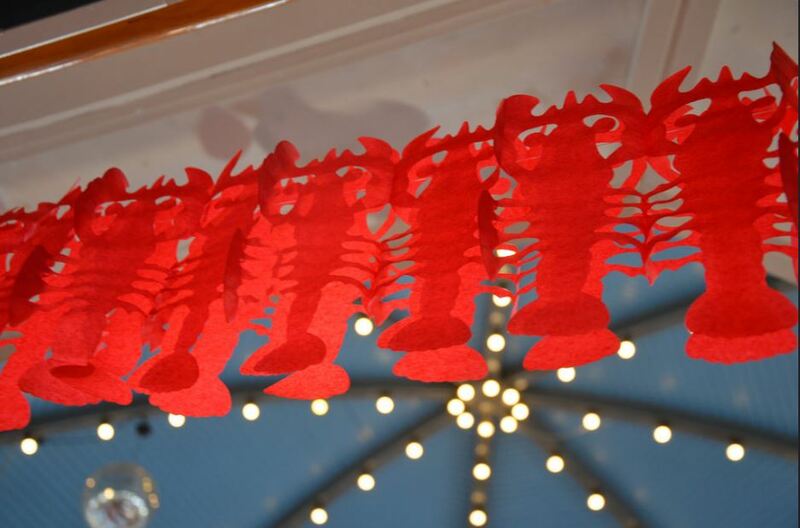 After a welcome drink on the beautiful terrace overlooking the Amstel River, a three-course crayfish menu was served. 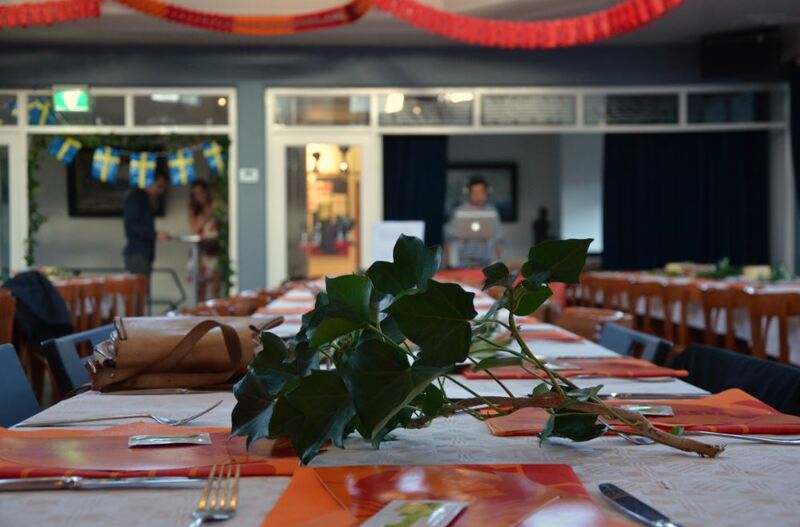 For dessert, we enjoyed coffee and Swedish Dajmtårta! 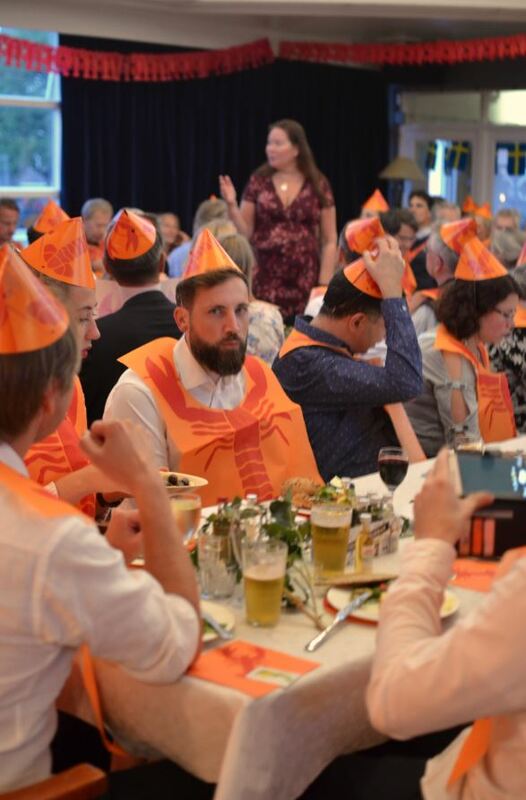 When the hats and bibs were off, the tables and chairs were swept away, and the party continued at the dancefloor together with DJ Percy. 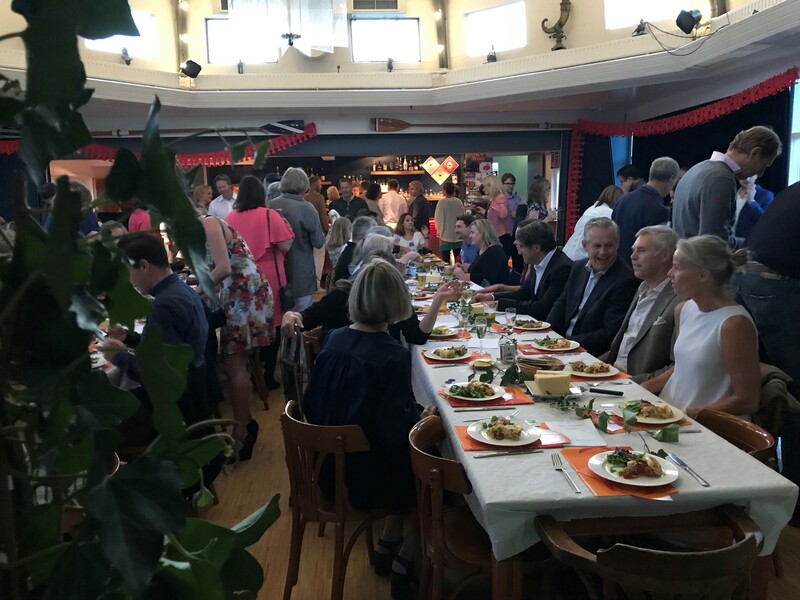 We would like to especially thank all of our sponsors for making this a magical evening! 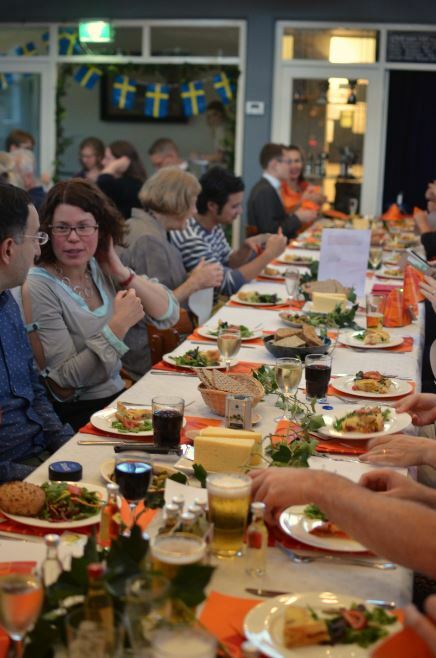 View the photos from the event in the slideshow below! 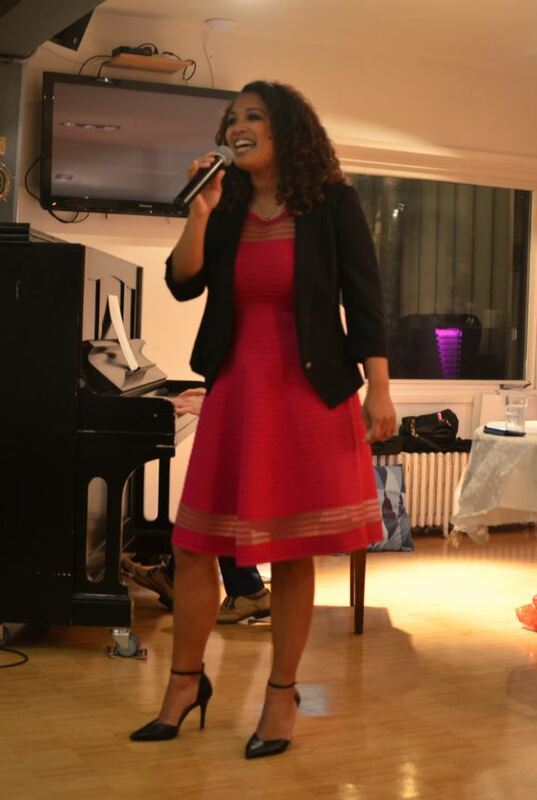 Photos by: Jenny Drost. 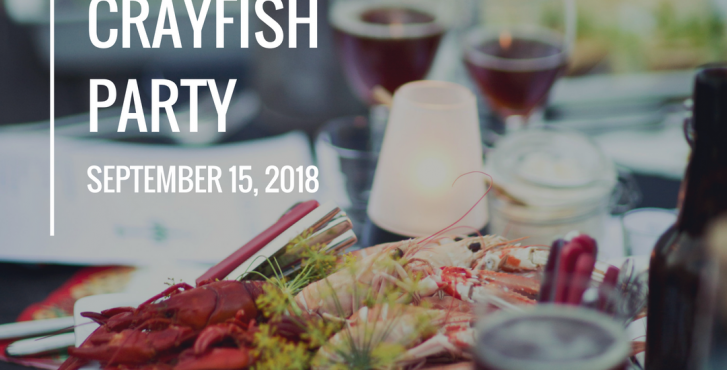 Price includes a welcome drink, starter, crayfish with Swedish "knäckebröd" and cheese, coffee with cake, and 2 drink coupons!